What is an “Anthology”? Simply put it is a collection. Here at Anthology Fine Art we love collections and the challenge and creativity it takes to preserve and display them. Several years ago we had the opportunity to make a large, multi opening, custom frame of a collection of vintage cards for a client. They were collected by the husband’s father and serve as a beautiful family tribute. 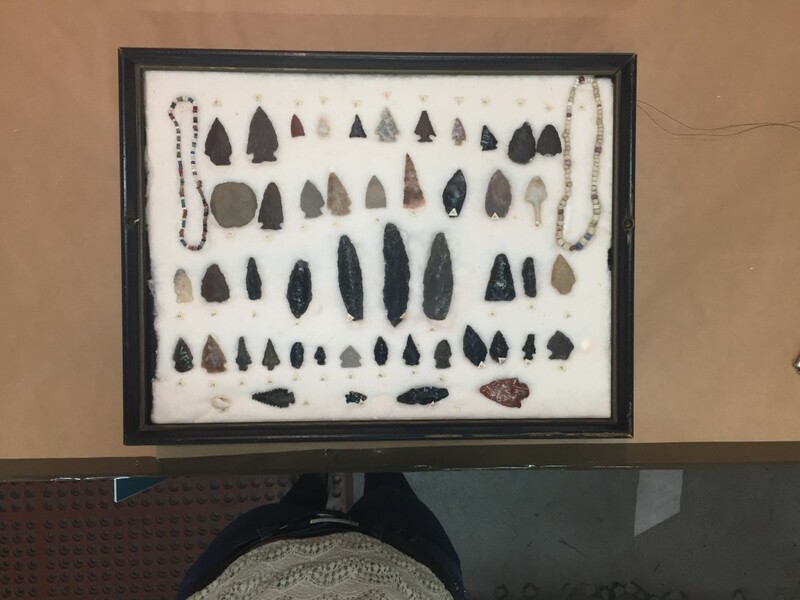 The same Denver family recently came to us with another family heirloom project, this time a collection of arrowheads, stone tools, and beaded jewelry, from the wife’s grandfather. The grandfather had created an DIY display in a hand made box that had been in her family for years. Time had taken its toll on the box and the collection was in need of an update so that it could be preserved and displayed for further generations. Her grandfather had meticulously documented what each item was, as well as where they were found, and created a hand written key with corresponding numbers for each item. The client wanted to retain the original layout, key, and the numbers. 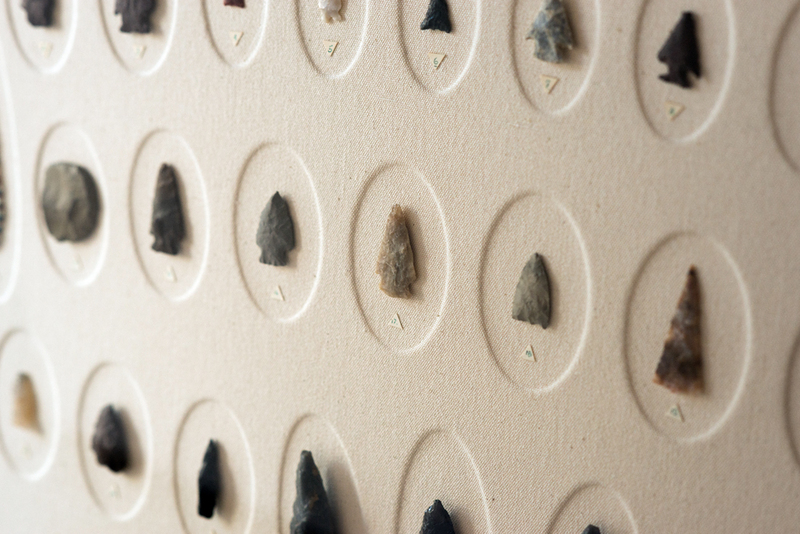 She also wanted to double the size and rather than being displayed by laying on a table the way the original had, with the arrowheads pressed between cotton and glass, she wanted the arrowheads to “float”and hang on the wall in their new home. We started with the idea to make the overall size bigger without getting too large or distracting. 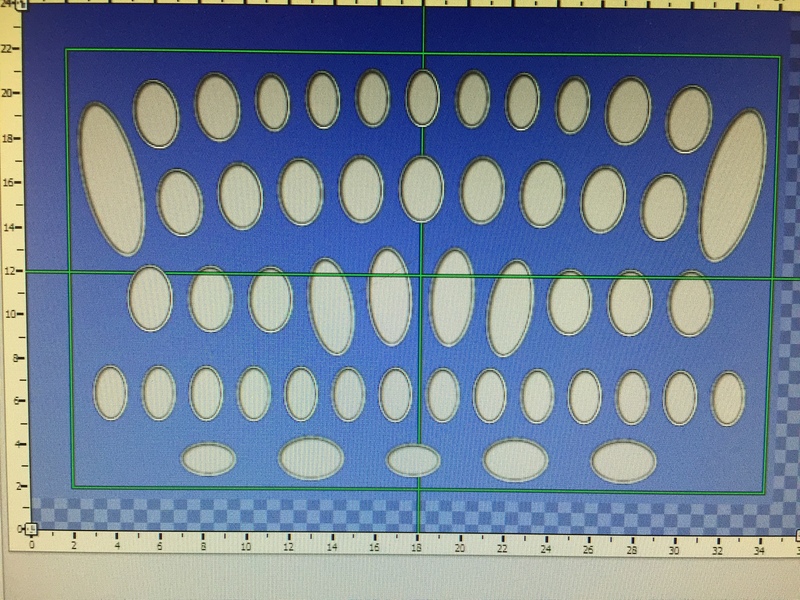 Individual oval windows were cut in order to display each piece. Rather than two mats stacked, we created a custom cotton canvas mat that gives the impression of being embossed that made for a subtle, yet elegant way to display each individual item. 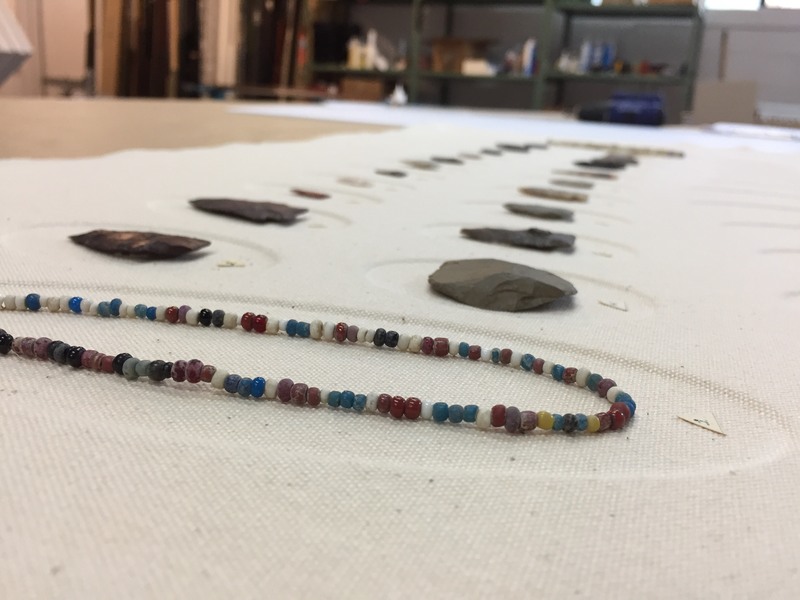 The collection included multiple arrowheads of different size and shape, stone scrapers and tools, as well as two pieces of beaded work. Each piece was individually mounted to the canvas and the had written numbers from the original display were reused. Finally, to tie the two family pieces together, we used the same frame as the vintage cards. The result was a beautiful new display for a lovely collection, that will now be proudly displayed and cherished by this wonderful family for generations to come! Over the years we have had the pleasure of framing a lot of different collections for our clients. 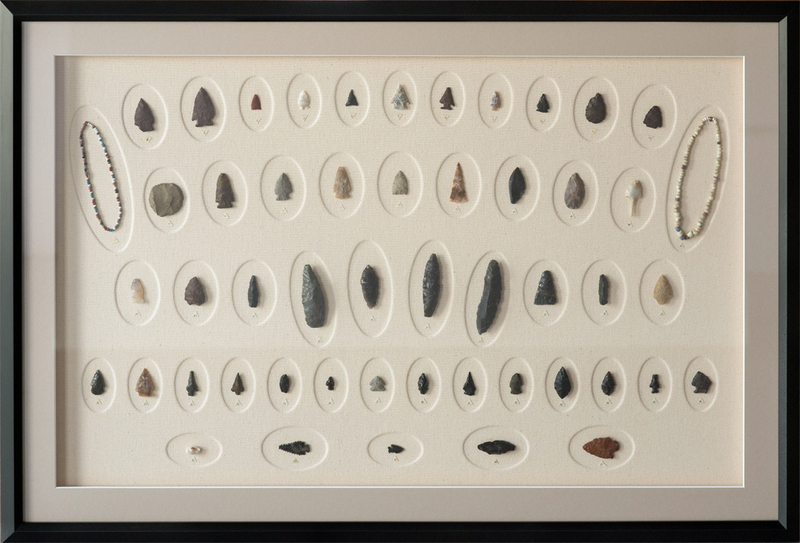 From Arrowheads and Vintage Cigarette cards to Military items and Woodworking Tools. 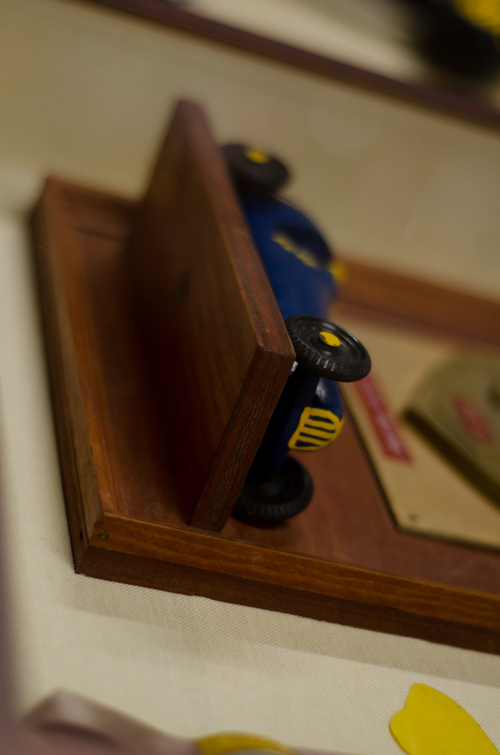 We cherish the opportunity to preserve and display these items. We would love to see what sort of fun and interesting collections you have. We encourage you to see what Anthology Fine Art can do in order to preserve, protect, and display your collection. Consultations and quotes are always free and encouraged. Don’t allow these wonderful bits of history and conversation starters to continue to collect dust in a box or on a shelf come and see how we can help you create a display that you will cherish for a lifetime. Mother’s Day is Sunday and so begins a time of celebrating Mothers, Fathers and Graduates in our lives. If you’re an adult, the idea of finding a gift for someone that has seemingly everything is a difficult task. We’ve done the work for you and have put together some of the most unique ideas we’ve used for our family over the years. 1. 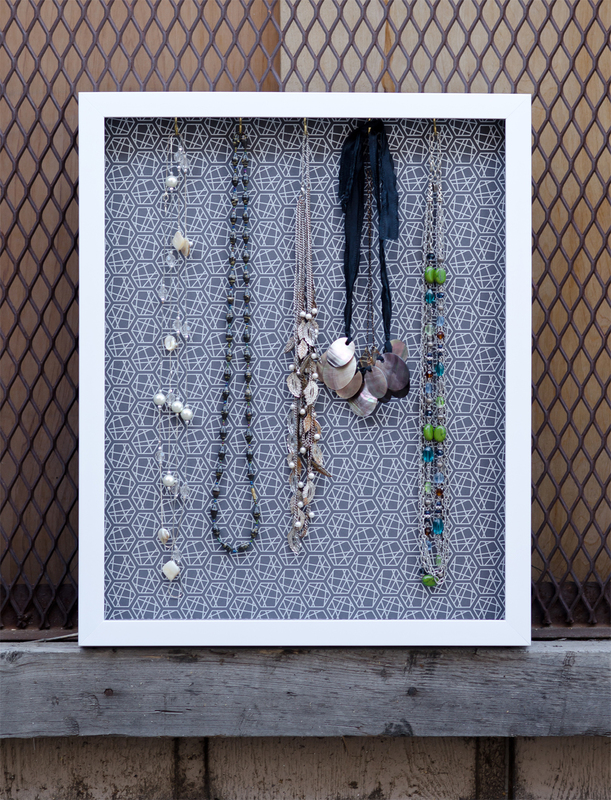 Custom Framed Jewelry Boxes: You’ve done the jewelry thing before, give her a way to show off her favorite necklaces and keep them organized at the same time. 2. Frame a family photo: You’ve only got three more days! Luckily, we have pre-made Photo Frames to fit a 4×6, 5×7 or 8×10. Keep it simple, or let one of the kids embellish the mat with their own style and sentiment. 3. 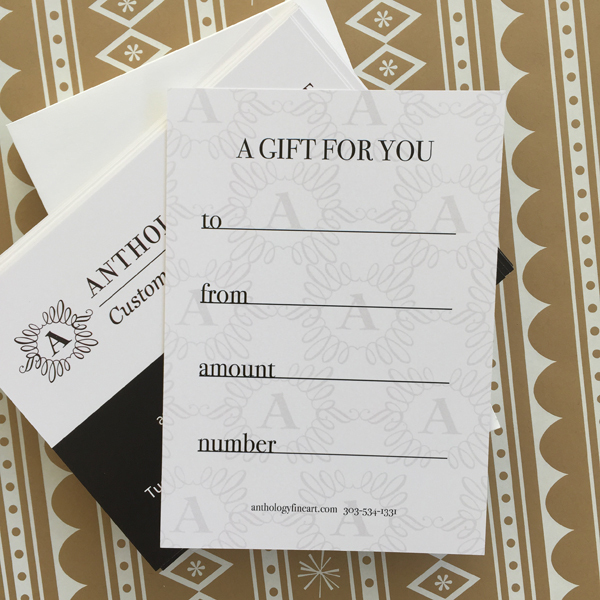 Anthology Gift Cards: Has mom or grandma been hinting they’d like an updated family photo? Want the college graduate to frame that really expensive piece of paper? We have gift cards in any amount that require zero planning. You can even call us at 303-534-1331 and we’ll take care of everything. 4. A nice pen and a conversation piece: We have a selection of handmade pens by Conner Woodworks that make the perfect gift for a parent or graduate. 5. Make a memory they can keep forever: Preservation is the hallmark of custom framing. Maybe it’s band poster your husband has had for years or the last concert you attend at Red Rocks before your grad heads off to college, make sure it will last a lifetime. 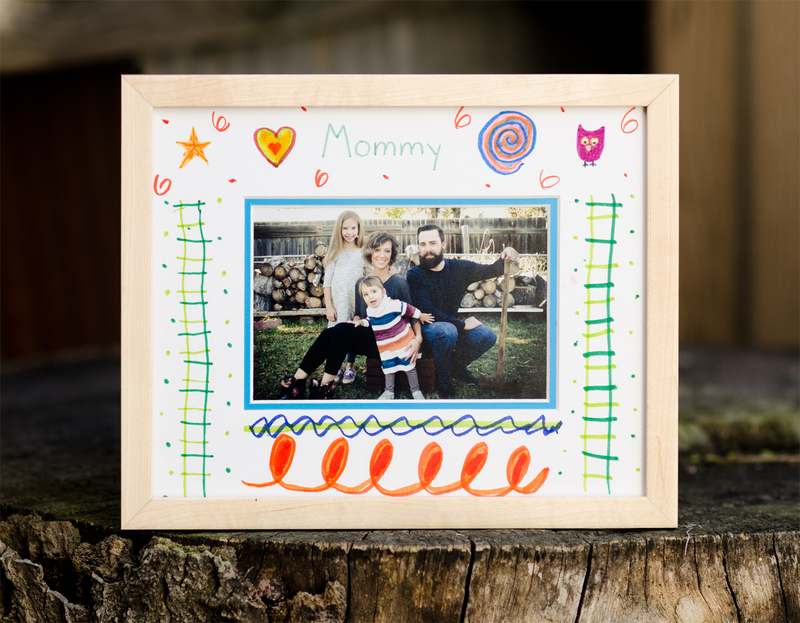 Custom frame your family history. Shadow box frames can be some of the most challenging and the most rewarding custom framing projects. We had a long time client come to us before the holidays with a significant family project. When her father was 9, he won a Cub Scout Pinewood Derby Race. His father (her grandfather) had helped him with the car and afterward made a wonderful display for the derby car and award. Her father always kept it and eventually gave it to her “little brother”. Fortunately, after 50+ years it was still in great shape and they had some wonderful photos of the winner and his siblings. Our client knew it was important to her brother and wanted to ensure it would stand the test of time. She also wanted to make it something that he’d be able to look at everyday, while keeping all the elements together. She brought us the car and award display along with the photos and his ribbon. The award display that her grandfather made really needed to stay as it was with the car, making the depth of the box over 3 inches. 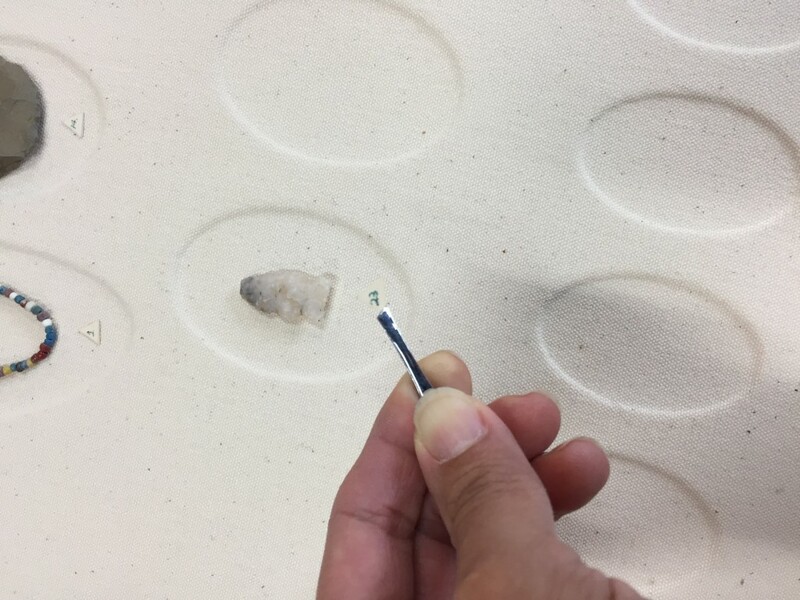 We had to “stack” two mouldings in order to achieve the depth but it worked out flawlessly! We were able to recess the heavy wood plaque into a fabric Crescent mat, cut windows for the photographs and mount his ribbon. 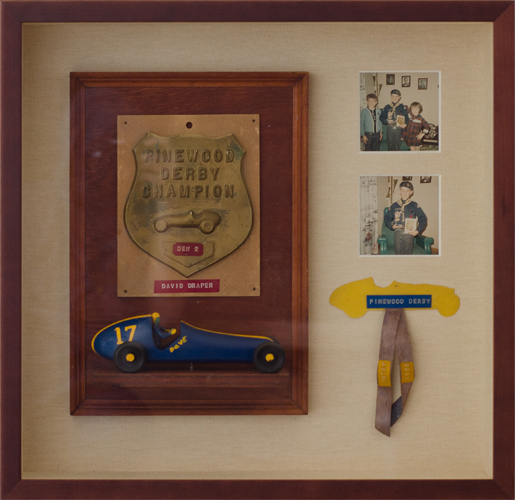 The project was enclosed in a Larson Juhl custom shadow box frame in a similar wood tone as the car and award display. The sides of the custom shadow box were lined with the same mat. TruVue glass was used to protect everything from fading and to keep the inside sealed and clean. 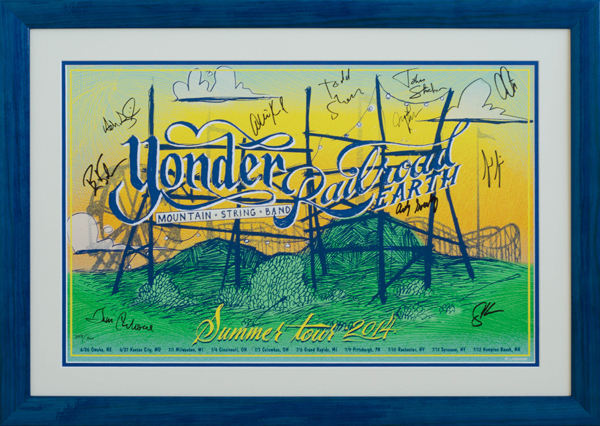 We custom frame a lot of art in Denver, some of it rather pricey. But sometimes the truly priceless pieces aren’t those worth a ton of cash but the memories that are represented in everyday things. Let us be your framer and we can preserve your memories too! 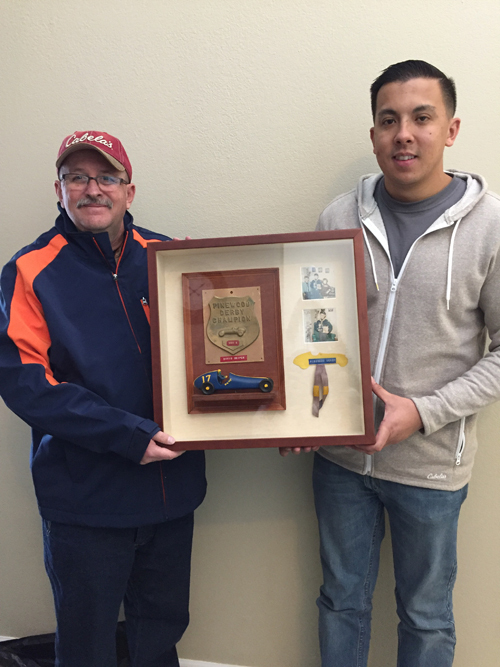 Our client was kind enough to send a photo of her father and brother with the finished piece. We hope he enjoys it for years to come!